Making the Australian Quilt Exhibition 1800-1950 | Eastwood Patchwork Quilters Inc. If at all possible, don’t miss this important event to be exhibited in Melbourne only at the National Gallery of Victoria, starting in July 2016. Making the Australian Quilt: 1800–1950 is the first major exhibition of its kind to bring together the rich works that constitute Australia’s quilt heritage. Exclusive to Melbourne, the exhibition includes more than eighty works from around the country. 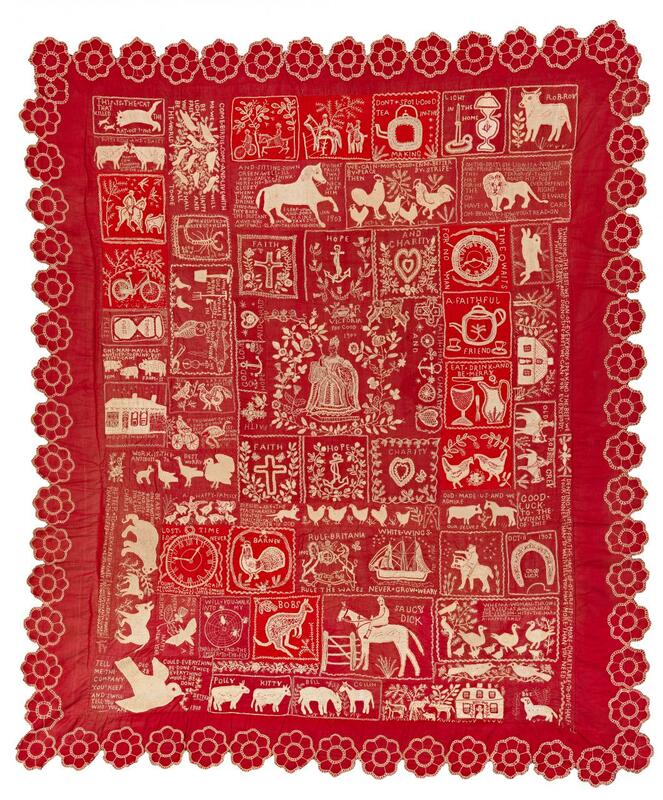 Key works such as The Rajah Quilt and examples by renowned makers Mary Jane Hannaford, Marianne Gibson and Amelia Brown are shown alongside a number of recently discovered pieces not exhibited before. They include quilts, coverlets, garments and quilted, patched and pieced works made in Australia or with a significant Australian provenance. The exhibition also features key 19th century English quilts that were brought or sent to Australia, informing and influencing the early quilting practices of local makers.